SimiSodaPop | A Refreshment Of Bubbly Gossip! 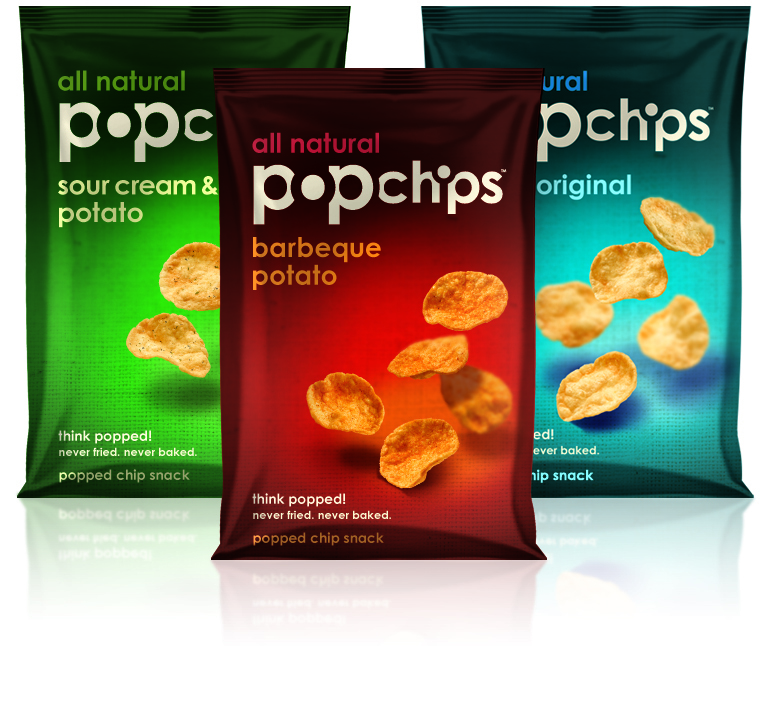 | Beauty, Fashion, Food and Entertainment: PopChips - REVIEW & CONTEST/GIVEAWAY! "POP Chips" with you all! 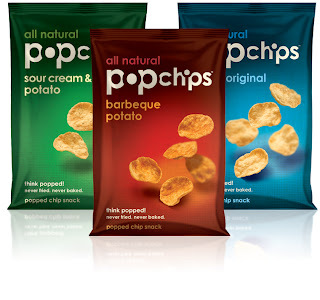 I recently came across this brand and i have ever since fallen in love with their POP Chips! They are the most delicious yummy healthy snack that im loving at the moment. I have got to try all the flavors except one the "Parmesan Garlic" i have yet to try. But it sounds super yummy and i can't wait to try that one! 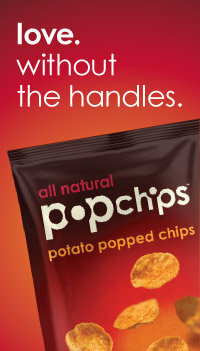 Pop Chips are not baked & not fried, they just add a little heat & pressure and POP thats what makes it! They have healthy good ingredients and they are NOT filled with bad oils or weird ingredients that you can't understand. Yay! It's hard to find chips that are healthy AND taste good! * Yes VEGAN on Flavors "Original, Sea Salt & Vinegar, & Salt & Pepper. The have 7 wonderful flavors to choose from. So you can find your favorite flavor for each member of your family. My favorites are the "Original" & "Cheddar"
I have gotten my whole family loving these & i have recently served them at one of my parties that i host and EVERYONE was talking NON STOP about POP Chips! I have made many new PopChip Fans! 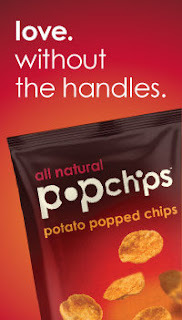 They really do make the sound "POP" when you snack on them! I love putting them in my soups, they just taste so DELICIOUS! They are not greasy like other chips. They are a very light snack and simply melt in your mouth when you eat them! I really have been addicted to these lately! & to celebrate my love for them! Im giving away ONE 12 Pack to a reader from my site! "12 Pack of Pop Chips Variety Pack!"